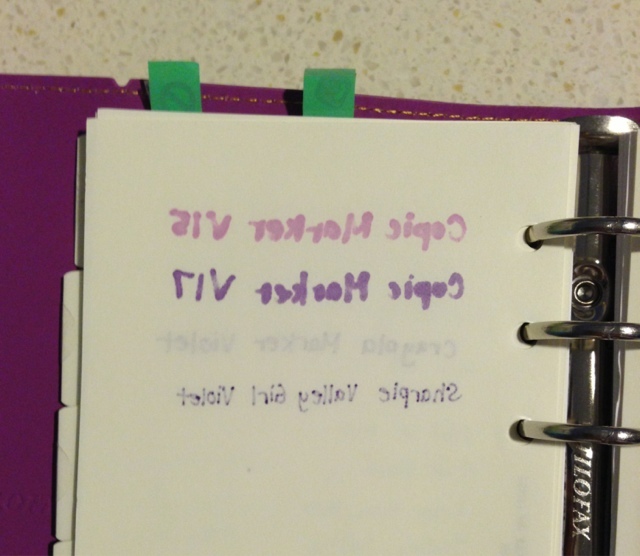 Just wanted to do a quick post for a fellow Filofax fan. 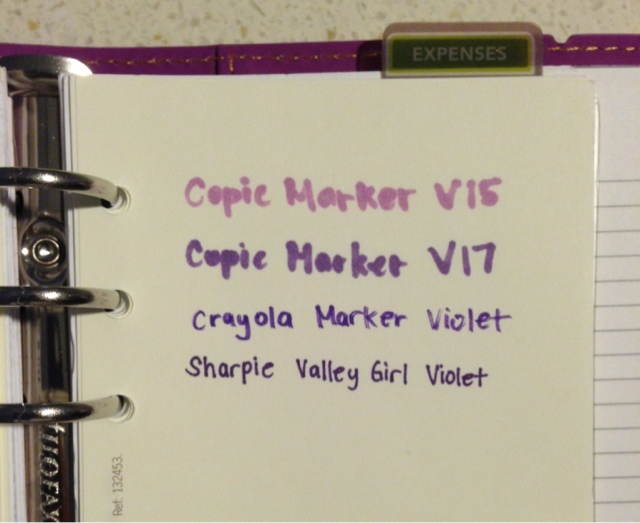 She asked me if anyone has ever tried using Copic Markers in their Filofax. For those of you who don't know what Copic Markers are, they are a very high quality marker. Mainly used by more serious artists, for coloring, crafts, and so on. I use them specifically for my card making. So, I decided to give it a try. And I report, it did not go so well. This I expected because Copic markers are to be used with specialty paper, a more thicker paper. Filofax paper is known to be a very thin paper. The cotton cream is a better quality Filofax paper and a bit thicker, but as you can see with the test, the markers still bled through. I have also heard that the Stabilo point 88 Fineliner Markers bleed through as well.